Some may call me a reticent landscaper, but I prefer to believe that a little bit of wild growth at the edge of the mowedlawn is good for nature, and attracts lots of pretty visitors. After all, I live in a rural residential area, surrounded by fields and trees, with a small marsh at the side of my lot. I think sometimes letting nature just “be” is good for us all. Today I had a visit from an orange butterfly (which I have not identified, but I’m sure one of you will!). It was almost as if he was a professional model- turning around as I sat nearby with my camera, so that I could get a good view from all angles! 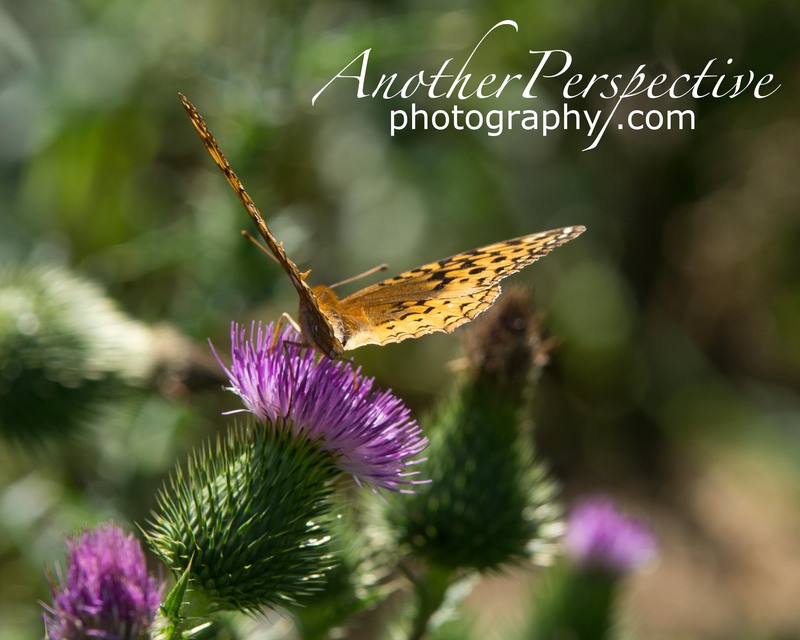 It was also very fashionable of him to sit on a vibrant purple thistle- a nice contrast to his bright orange wings. 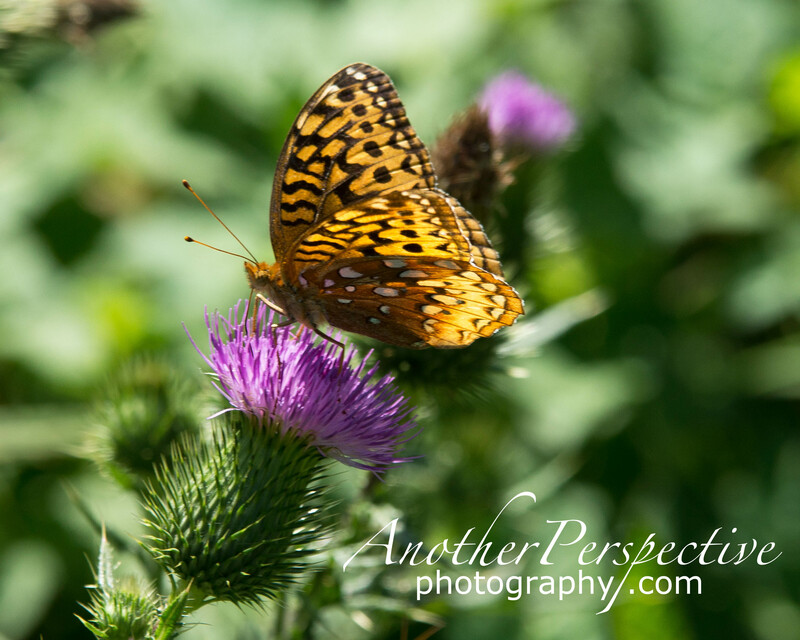 I love butterfly’s and find the flower of the thistle to be special…thank you for such wonderful photos. 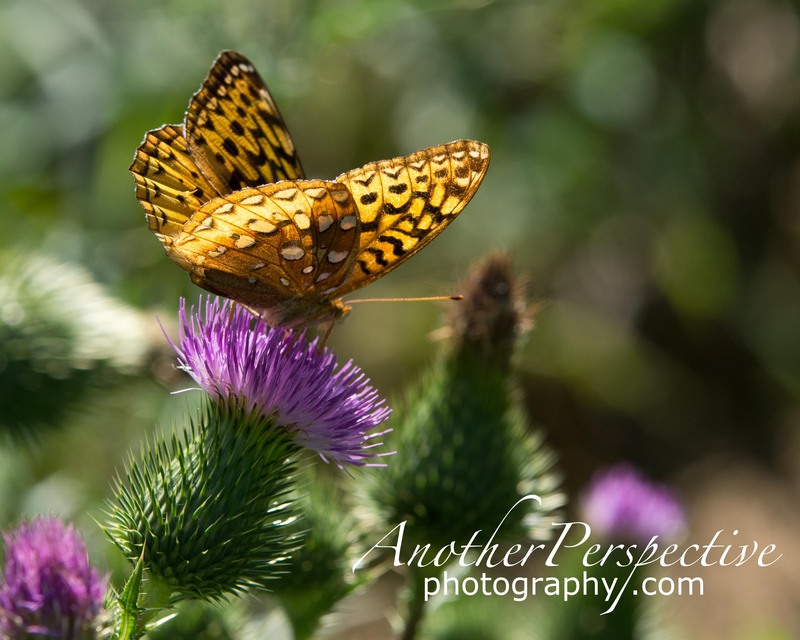 I am pretty sure that your butterfly is a Great Spangled Fritillary. 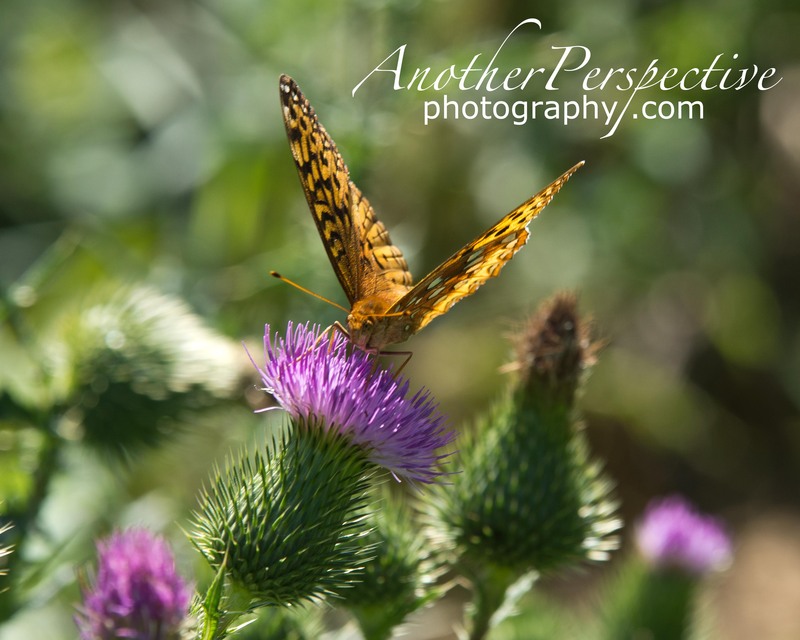 The orange of the butterfly and the purple of the thistle make a great color combination. I really like your shots here. I think you’re right on the i.d.- one of my facebook friends just took a butterfly identification course and that was his guess too.